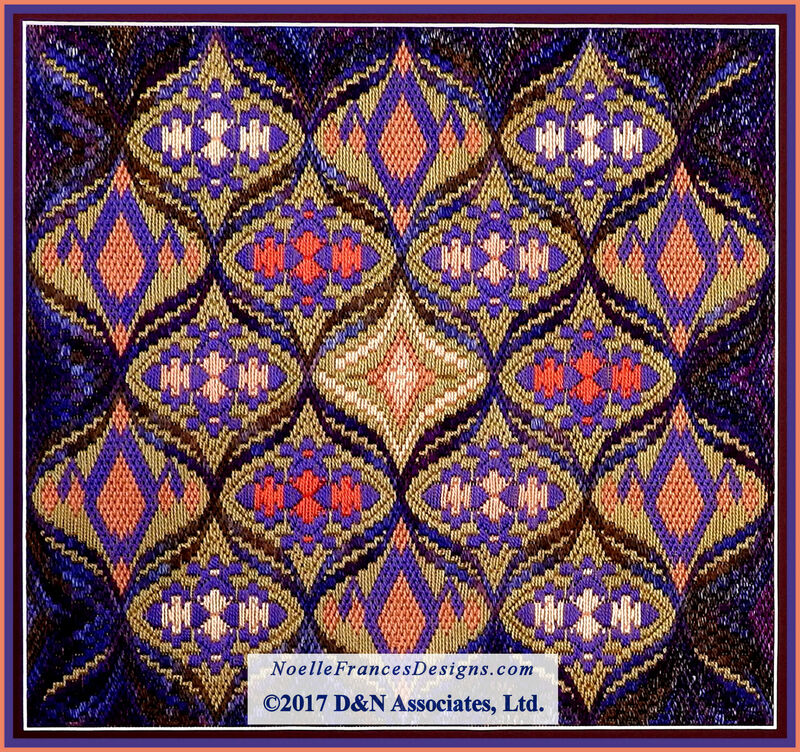 Entwined Pomegranates, a Bargello needlework design, is 233w by 213h, slightly under 13.5 by 11.75 inches when worked on 18 count canvas. 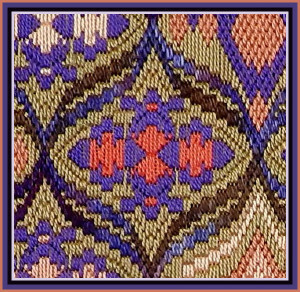 Presented within a 40-plus page booklet that is available in printed and Kindle format, this Bargello design may look complex but is actually very easy to stitch when you follow my booklet’s numerous pages of zoomed-in charts and photos. My booklets are divided into sections that discuss the main pattern parts of each design, present photos and graphed charts in color and close-ups so you can see the details. Within the e-book format you can expand the charts and photos throughout the booklet to view details down to individual stitches. 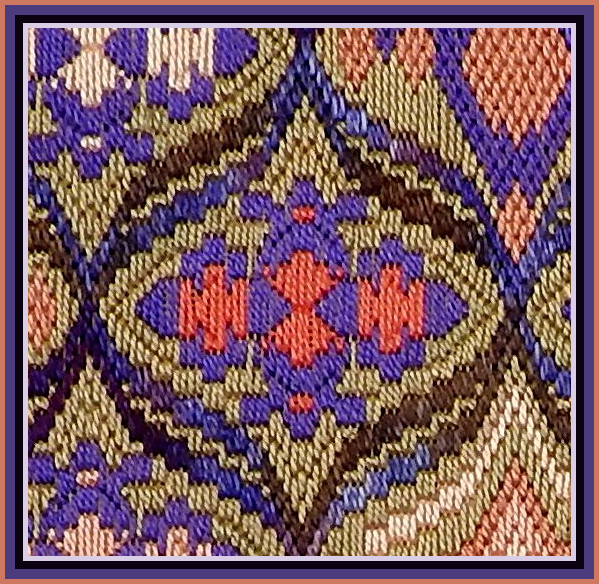 Entwined Pomegranates is a repeating design with various center patterns worked within the entwined pomegranate outline.